Just a few months ago, two-time WSOP champion Dutch Boyd was on Reddit.com talking about how he couldn’t find a regular job and was broke – despite earning over $2.1 million in live poker tournaments alone. Well little has changed since those days, but Boyd is trying to rectify the situation by writing a book. Well now that time has come. So I’m setting out to write the greatest book ever. I’ve teamed up with published author Laurence Samuels to make sure this dream turns into a reality. (continued later) If you’ve ever played poker, you are going to want this book. But even if you don’t play poker, there is going to be a lot in here that will be interesting to you. The things that make a poker player successful apply to all aspects of life. Plus, you’ll get to read an insider’s story of a world that is rarely exposed. Just two days after posting the Kickstarter listing, Boyd has already drawn 23 backers and $1,135 in funding. He has 28 days to go to reach his $5k goal, or else all of the funding is returned. Those wanting to support Boyd’s project must pledge at least $1 to be considered a backer. 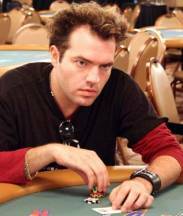 As mentioned before, Dutch Boyd has captured two WSOP bracelets and earned $2,122,906 in tournament winnings. Despite these accomplishments, Dutch is also loathed by many in the poker community. He ran an online poker room called PokerSpot, and when it failed in the early 2000’s, Boyd didn’t reimburse players for over $400,000 in deposits. More recently, Boyd was sued by the popular forum TwoPlusTwo.com for cybersquatting; he used a domain name that was very similar to TwoPlusTwo without permission.